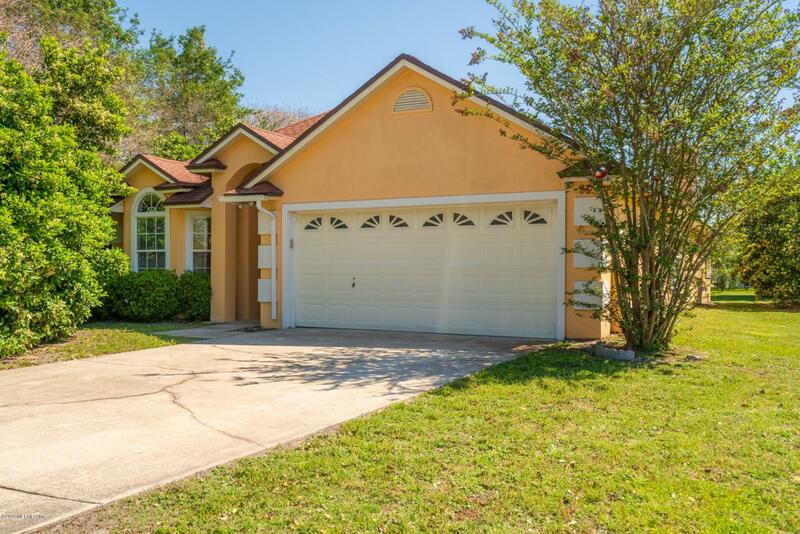 Come check out this gorgeous 3 bedrooms 2 baths home located in the heart of Orange park.It has an open floor plan with a ceramic tile floor through out the house. Wood burning fireplace in the living room.Covered back porch. Newly fresh painted through out the interior of the house. Beautiful bay window in the master bedroom. All Blinds are new. Sitting in a corner lot and also one of the biggest lot property in the neighborhood.It has a termite bond that can be transfer to the new owner.This house has it all . Move in ready. Newer roof and AC unit.